Our RaDAR team, Dennis WA6QKN, Suzy and I, had ideal weather for the Nov 3rd, 2018 RaDAR Challenge. Our venue was Topsail Hill Preserve State Park near Desitin Florida. The paved trails and the cart we used made our transitions easy. Our first location at the main parking lot at Topsail Park. Our first location, EM60UI79AA, was at the main parking lot. I attempted a SO-50 Satellite contact but had no luck squeezing in. FM satellites are very congested, particularly on weekends. Likewise, an attempt to make a RaDAR to RaDAR QSO with Pat N5VMO in Arkansas failed on our end. If you don't have the PSK-31`setup working before the event don't expect it to work in the challenge. 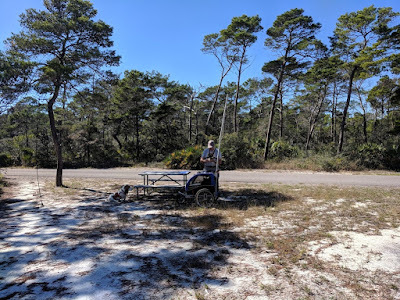 The one-kilometer transition was easy even with the cart loaded with the Icom 7100, 30 AH battery and antennas. We got our first five contacts on 40 meters CW using a low 40-meter dipole. The rig was an Icom 7100 running about 70 watts. 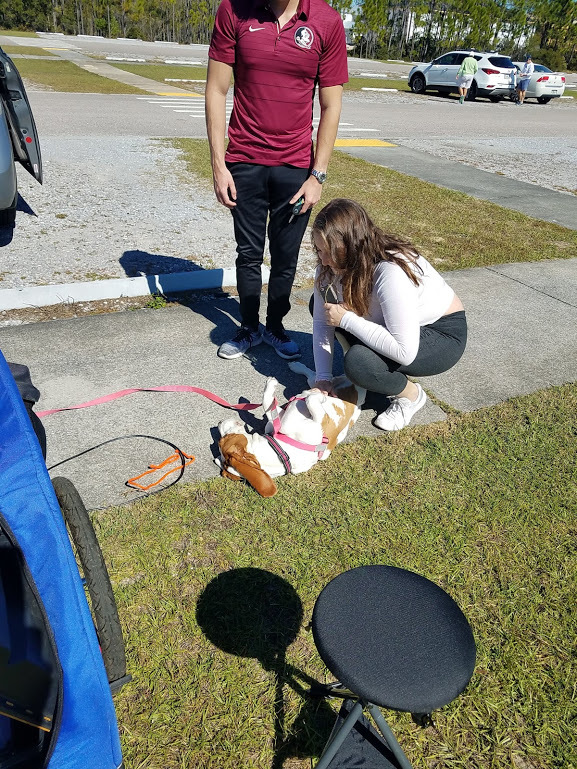 The rig was set up on the dog stroller we use as a cart. I faintly heard the letters "kot". That was VA3KOT John Corby calling from Ontario, but the propagation just was not right for a contact. We did work WW1USA from the World War 1 Museum in Kansas City, MO. Our second location in the park. Then, it was off to the second location, EM60UI67PU, one kilometer away via the park trails. 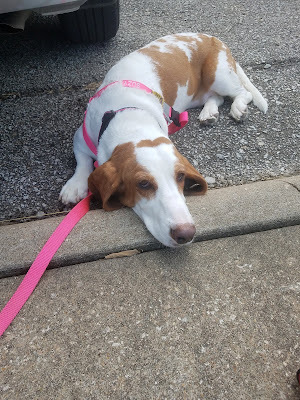 Suzy loves the trek. We set up a 20-meter dipole this time. With some effort, we got the five contacts on CW. A surprise was a call from CS7AFI in Portugal. That counts for the intercontinental DX bonus. The third location, EM60UI58TT, was on the trail to Campbell Lake. 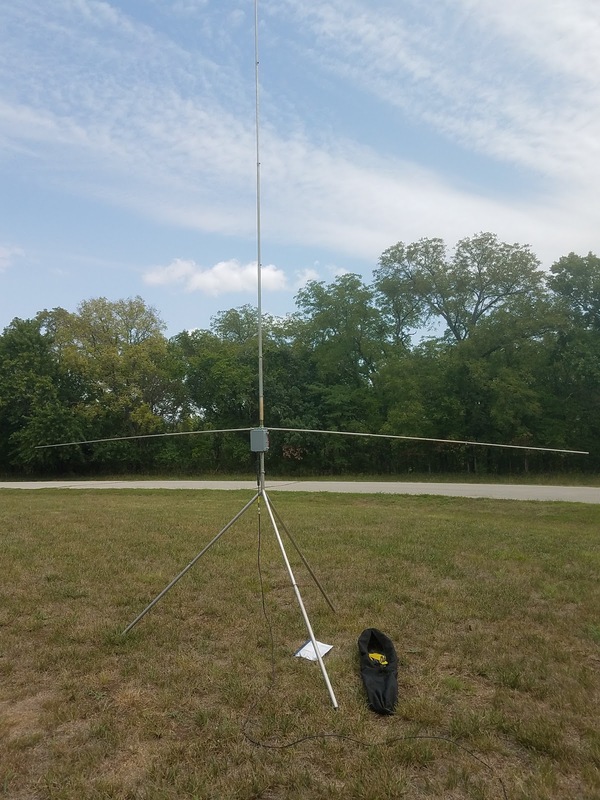 We used the Chameleon vertical whip antenna for 20-meters supported by the cart and two quarter-wave radials. This time we got a string of five SSB contacts by calling CQ POTA. The contacts included Puerto Rico and Ontario. 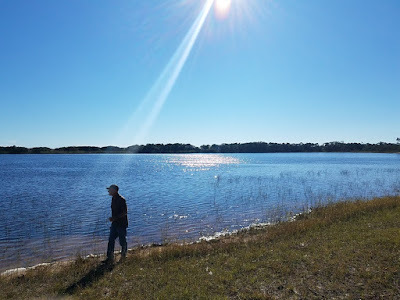 Dennis surveys Cambell Lake. 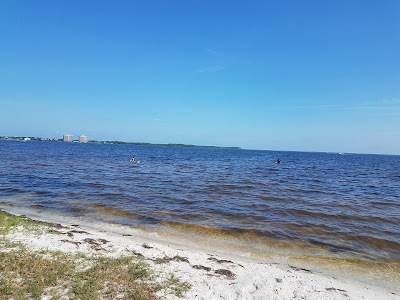 It is a coastal dune lake. We still had time left, however not enough to get to a fourth location. Instead, we treated ourselves to the view at Campbell Lake. It was beautiful. Then we had the return walk to the parking lot. My Fitbit registered 10,000 steps for the day. Suzy makes her own contact and gets a belly rub. Dennis and I have done several challenges and have made it to four locations in four hours. Usually, we have a few locals and chasers but not this time. We are frankly hard to follow if we go to search and pounce. 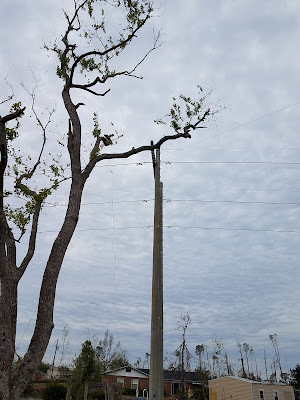 Also, propagation would be difficult back to Panama City. This outing we enjoyed the break from the hurricane recovery in Panama City. 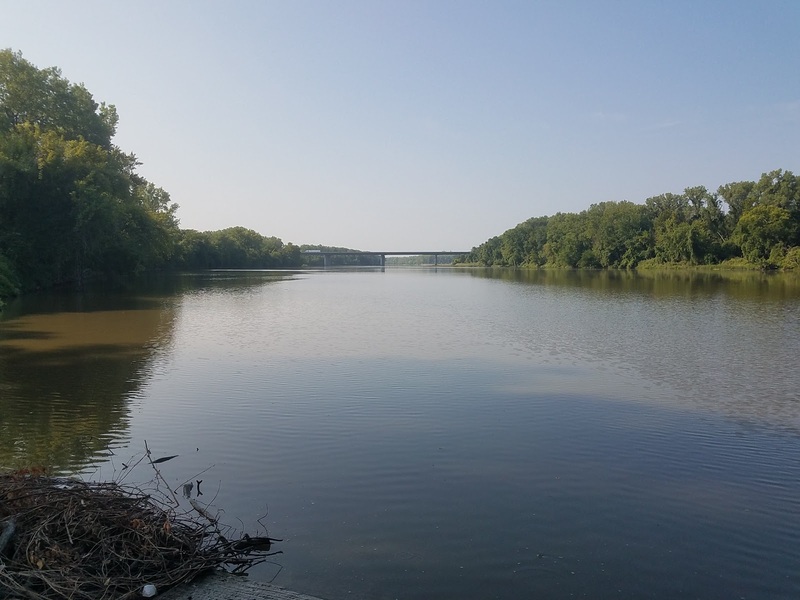 It will be a long time before the clean-up and repairs are done. Things improve a little bit every day there. 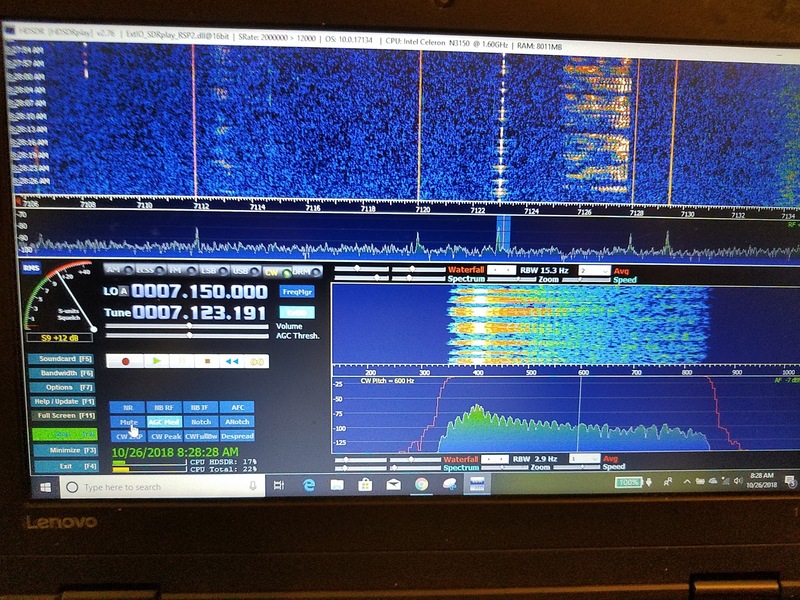 Note A RaDAR email group is picking up interest at https://groups.io/g/RaDAR Please join if you are interested in Rapid Deployment Amateur Radio (RaDAR). 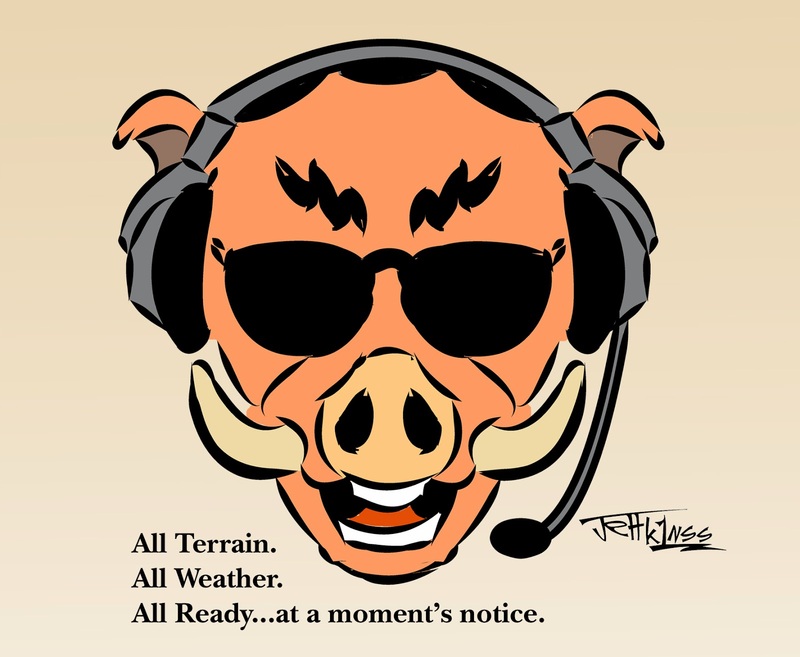 The next RaDAR Challenge is Saturday, Nov 3rd, 2018. Dennis WA6QKN, Suzy and I will form a RaDAR team using callsign N4KGL. We have chosen Top Sail Preserve State Park for our venue. Top Sail is on the Gulf Coast near Destin, Florida. 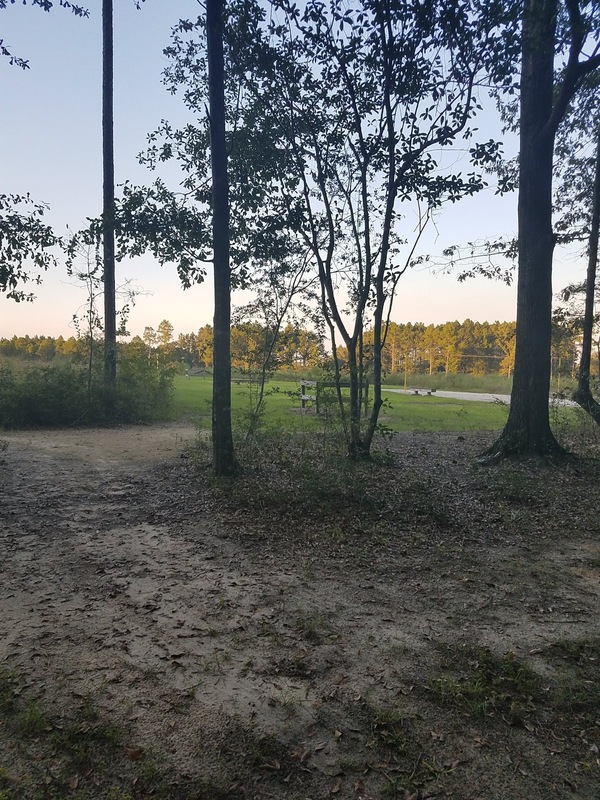 Top Sail has paved trails through the park. Those will be ideal for on-foot or on-paw RaDAR. Per RaDAR rules, we will make five contacts and then move one kilometer to the next location. 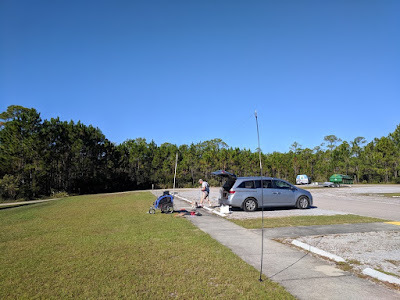 We have chosen to start with a SO-50 Satellite pass at 1545 UTC from the parking area. The park is in grid EM60. We hope for at least one sat contact for the RaDAR bonus. If we get five on the sat we would be ready to move. 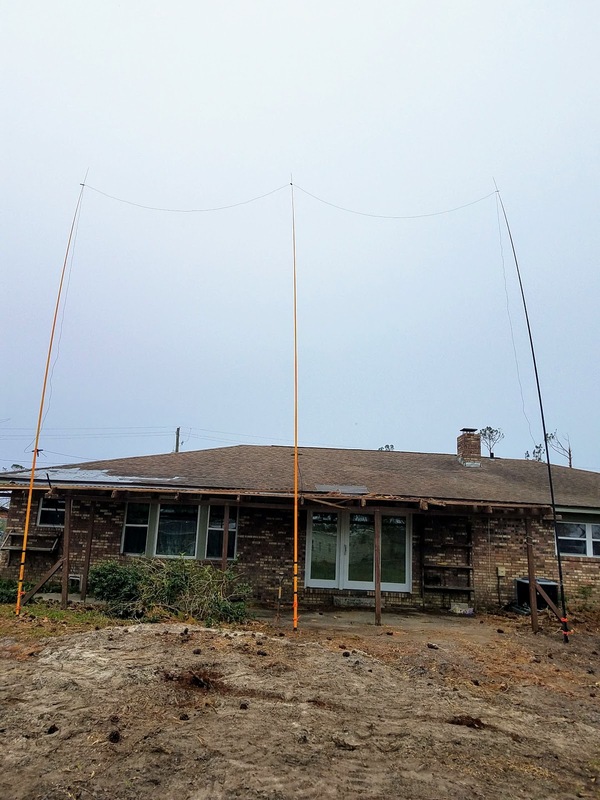 Most of our operations will be on 40 and 20 meters HF. Note Top Sail is K-3664 for POTA, Parks On The Air. 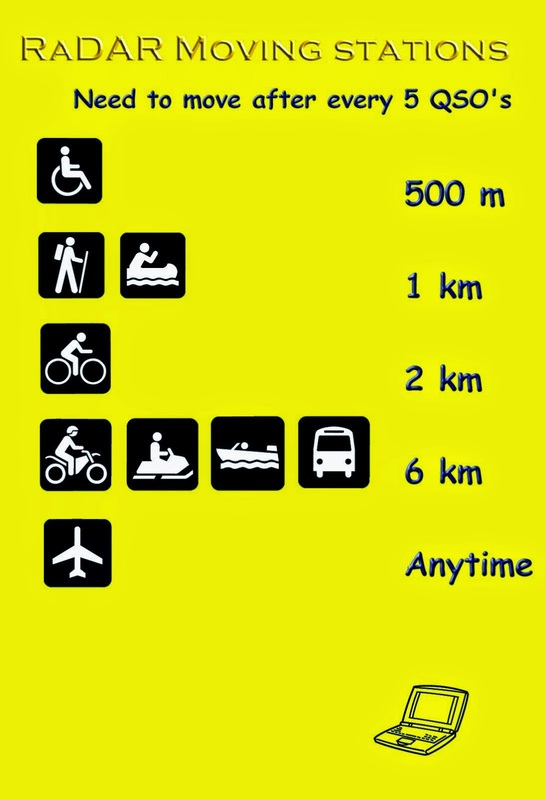 We will proceed on the trails toward Campbell Lake, stopping every one kilometer to make our five contacts. 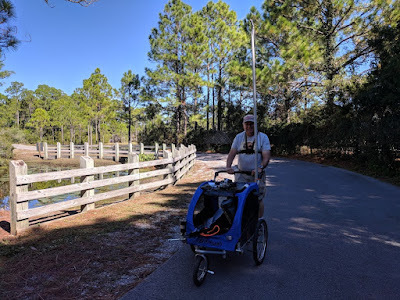 We will be using a dog stroller to carry the Icom 7100 100 watt rig and battery, It takes little effort to push the stroller even with heavy gear. The stroller can support a vertical. A dipole also can be used by attaching a PVC conduit mast to the stroller. 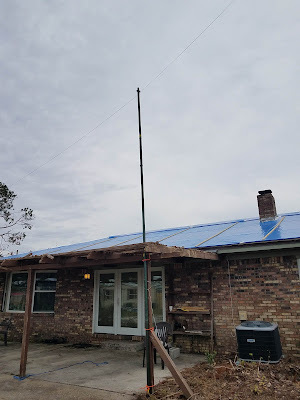 The dipole ends will be supported by 10-foot poles. However, if there is no luck on those frequencies, we will hunt and pounce. The pace is so rapid it is difficult to spot ourselves. We will do the best we can. 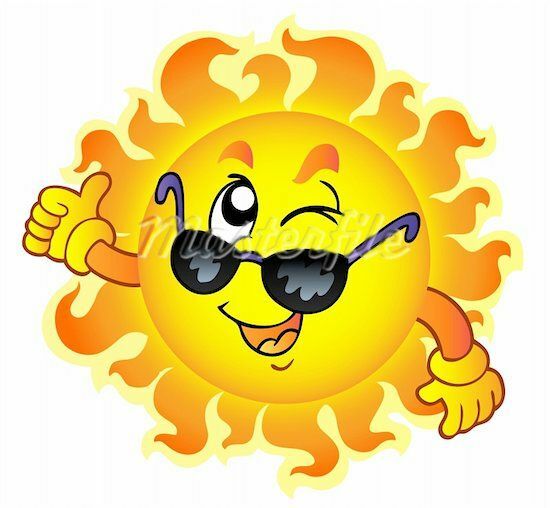 Check DX Summit for N4KGL and K-3664. Ham Alert is a good idea. Set that up ahead of time for N4KGL. RaDAR Ops can use a RaDAR group on WhatsApp. Ask me for the invite link. 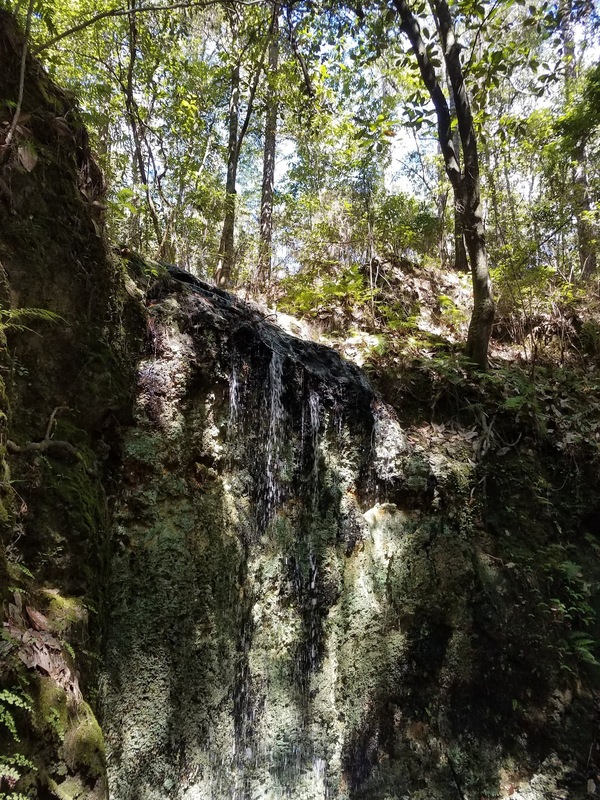 Linda and I camped at Falling Waters State Park on Columbus Day Weekend 2018. 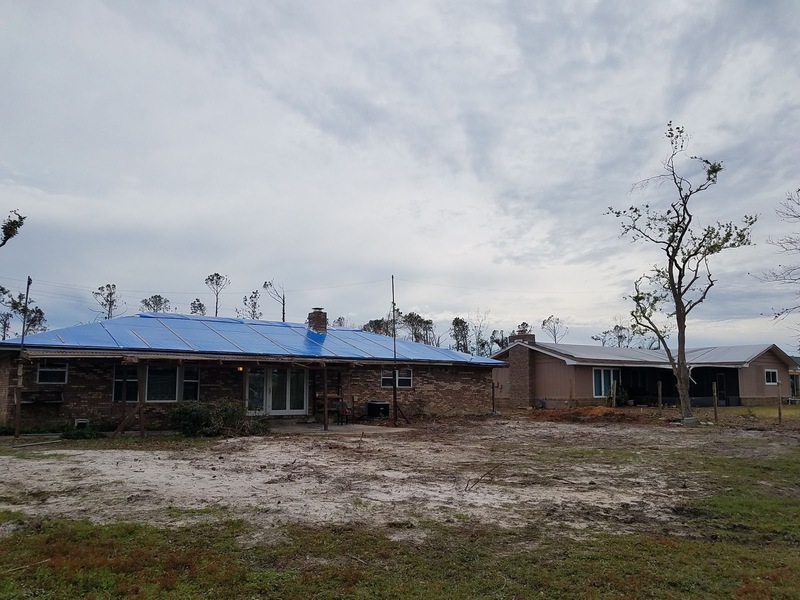 On the following Wednesday, Hurricane Michael came through our hometown, Panama City, Florida. Most of Bay County got walloped. We were fortunate the damage was not very extensive at our house. We have moved back in. It is notable that we rented a 13-foot camping trailer for the weekend. The camper was light enough to pull with the van. This was our first outing with a camper. It all went smooth. Falling Waters is an excellent camping destination with clean facilities. I will also note, the campsite was one I chose for its amateur radio potential for future Field Days. 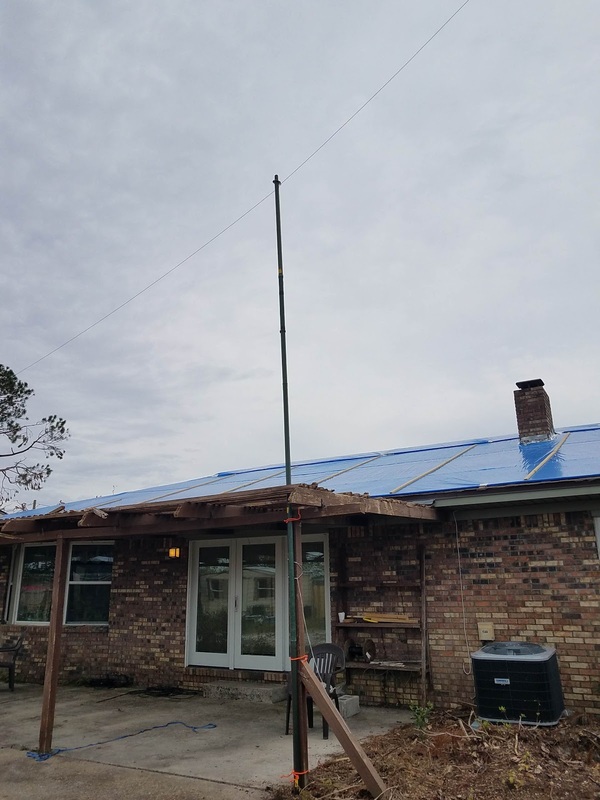 The site had room enough for a 40-meter OCF antenna. 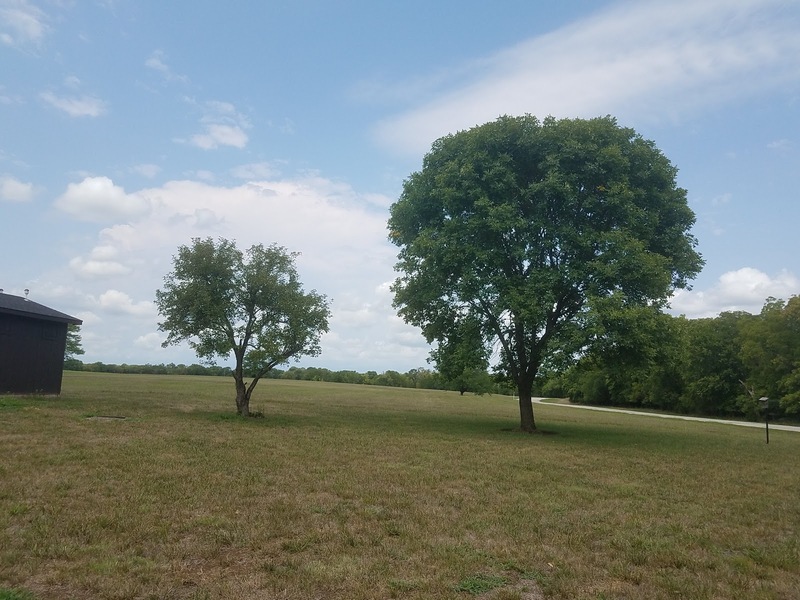 The back of the site is a large open field. I extended a 132 foot end-fed into the open field. That is about as good as it gets. 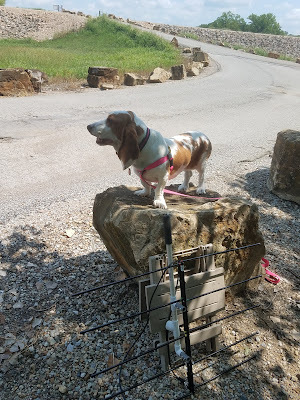 There were ham radio activities to keep me busy. I activated the park for POTA. I had sixteen contacts on Saturday and twenty-one on Sunday. 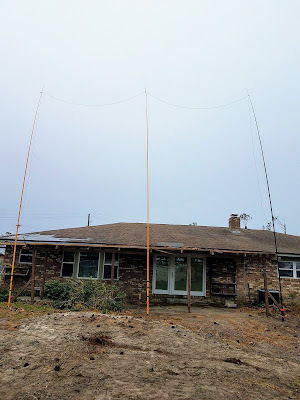 They were mostly 40 meters SSB. 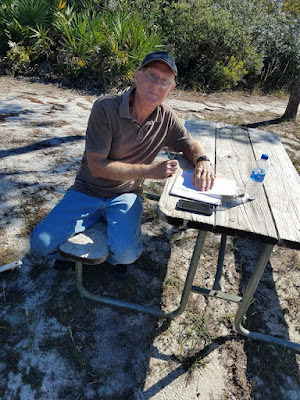 Saturday was the Leaf Peepers QRP event. Dennis WA6QKN joined me. We knocked our selves out and only found four other leaf peepers. The band conditions were degrading. A geomagnetic storm was coming on. My luck improved for the two-hour Peanut Power Sprint on Sunday. I had twenty-five contacts, Eighteen on 40 meters and seven on 20 meters. Eighteen were fellow nuts. I had twelve SPCs. 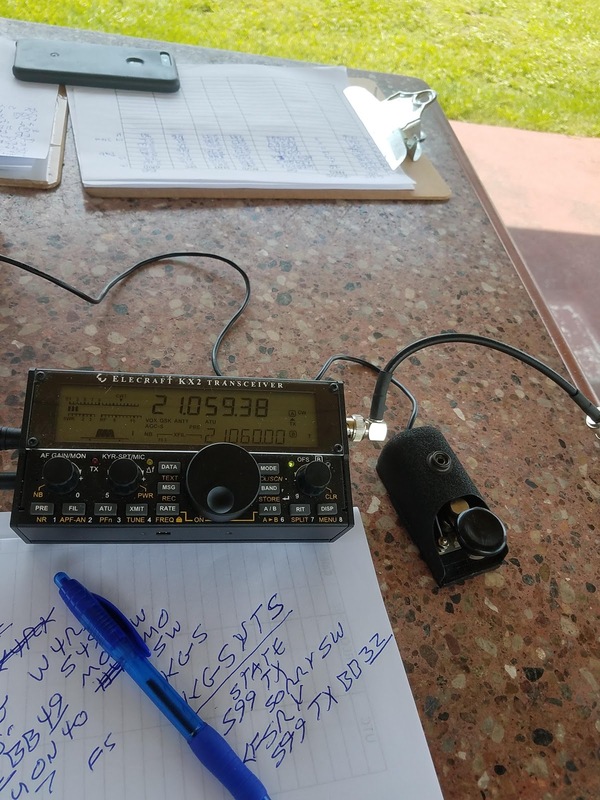 Note, I worked Larry W2LJ on both 20 meters and 40 meters. My category was salted running five watts portable. I used the 40-meter OCF antenna. I was pleased to do well considering the band conditions. 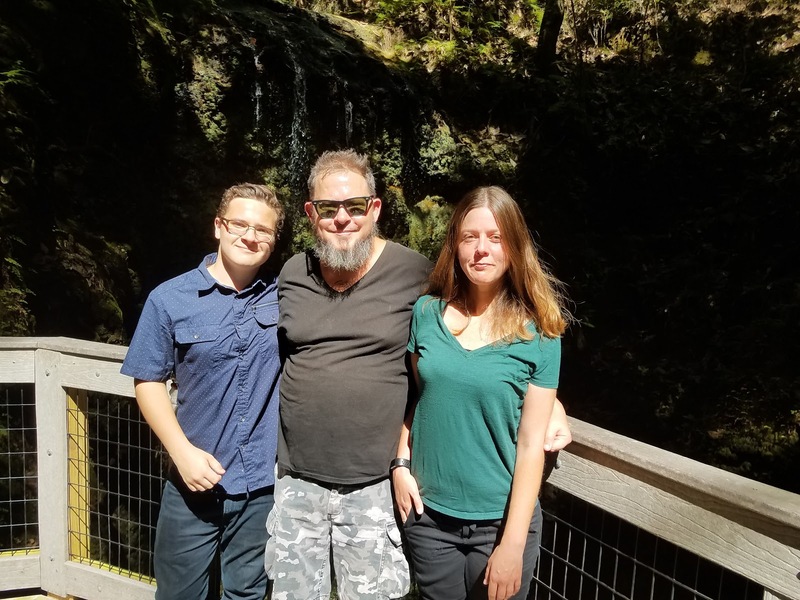 On the family side, my Daughter Amy visited us and brought her family. We had a cookout and visited the waterfall. 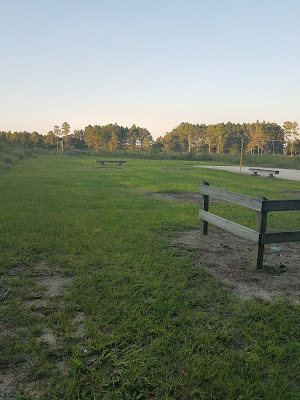 On Monday, they were evacuating the park for Hurrican Michael. We thought it might not be as bad as predicted. It was worse, CAT 4/5 as we know. We rode out the storm in Dothan, Alabama with my Mother. Not very bad on us up there other than power was out for days. I came back to Panama City for the days and spent the nights in Dothan. We got the tree on the house removed and eventually power was restored. Things are getting better every day, but a long road for the residents of Bay County. Hey, we are looking forward to the Winter Field Day and June Field Day and future camping at Falling Waters!. 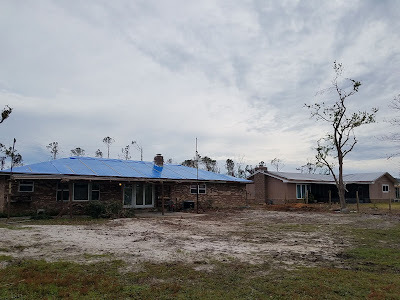 Fortunately, our home survived Michael fairly well and we have moved back in. 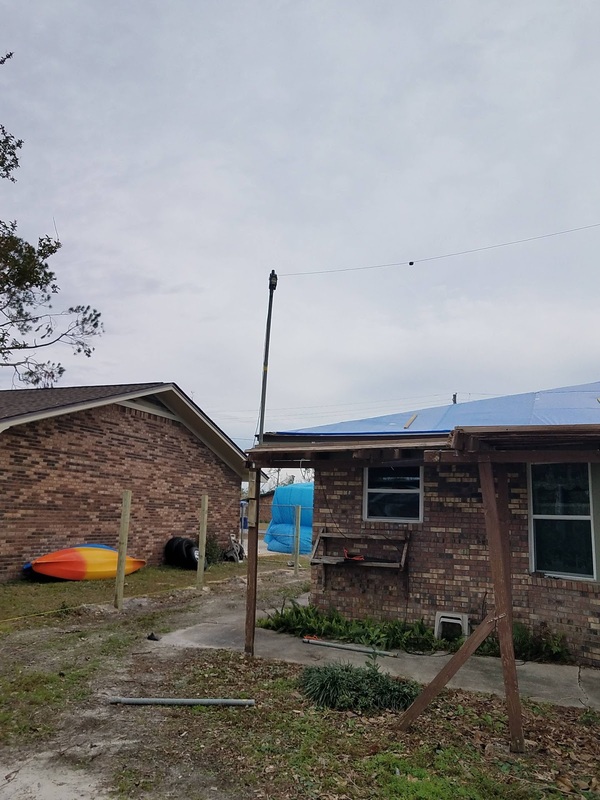 I must start over with outside antennas because the trees came down. Actually, it will be easier to work amateur satellites from the backyard. 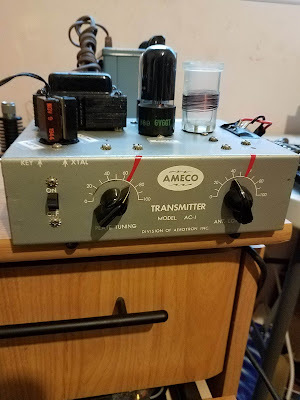 I have picked up some vintage treasures from eBay including an original Ameco AC-1. 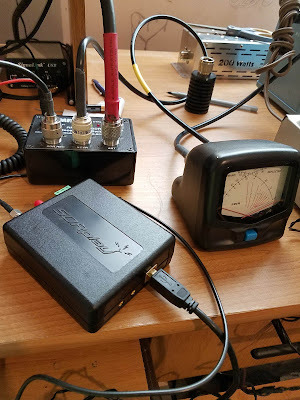 I also have an SDRPlay RSP-2 Software Defined Radio that I have not found a good use. So why not use the Ameco AC-1 to transmit and The RSP-2 for receive. 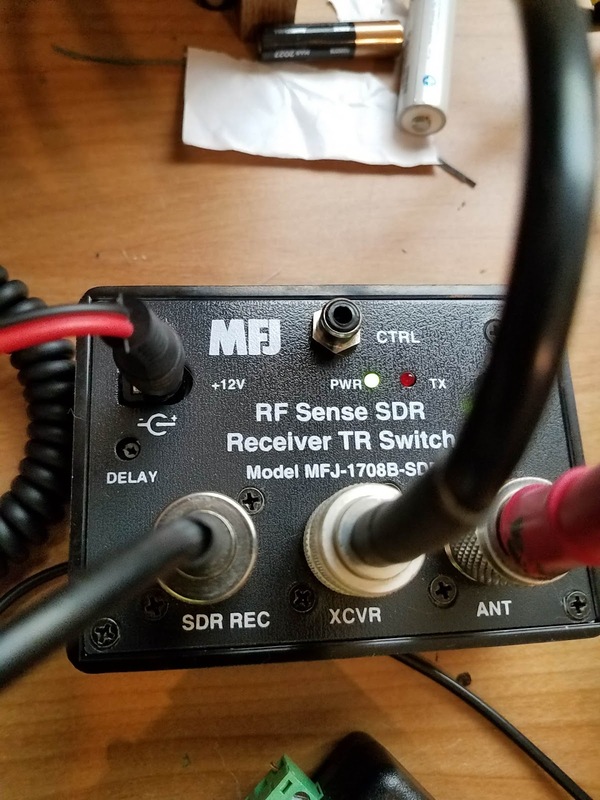 I will need a transmit/receive switch to keep from damaging the SDR. For that, I am using an MFJ 1708B RF Sense SDR Receiver TR Switch. I am letting it switch on RF sense. The AC-1 is set up for 40 meters and uses crystals to set the frequency. I get four watts RF out. 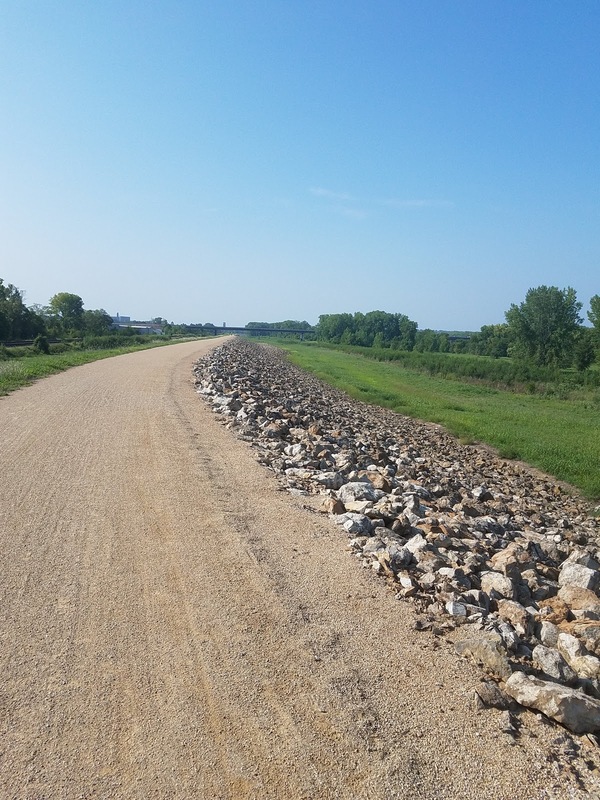 Being rock bound or crystal controlled can be challenging because pretty much you have to call CQ at 4 watts or get lucky that a station calling CQ is close enough to the crystal frequency to hear you. However, I happen to have a 7.123 MHz crystal which is the frequency for the daily Sun Rise CW net. The SRN net is friendly to all check-ins. They will remember you between check-ins and chat a bit. I QNIed this morning using the AC-1/SDR combo. I got a report of 339 but the NCS, K4AXF in Virginia, copied all my info and repeated it for the net. SDR Play RSP-2 in the foreground. I enjoy the glow of the 6V6 and the 6X5 tubes just like the novices did for their first QSO .way back when. You know the RSP-2 is a pretty good receiver for a little over one hundred dollars. 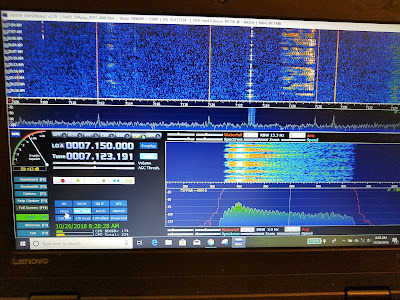 I am using the free HDSDR software on my laptop. 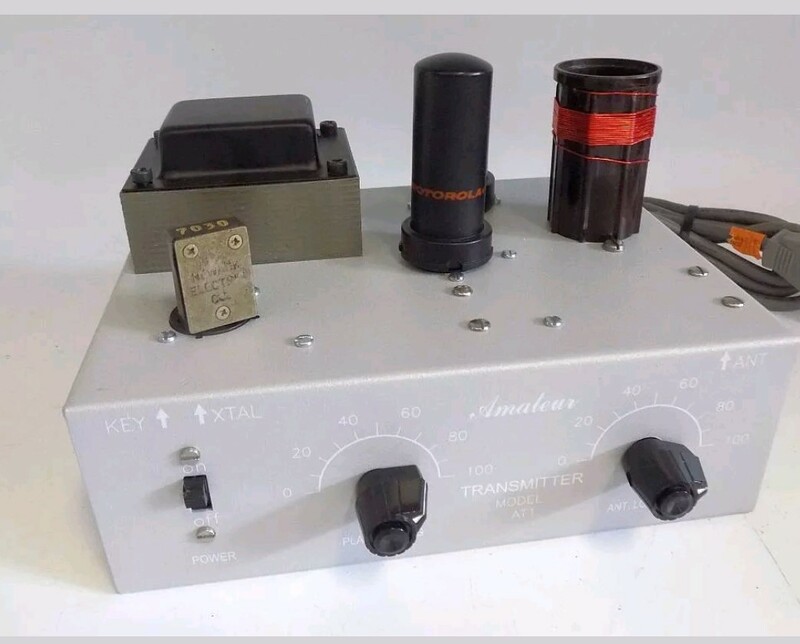 You could homebrew some transmitters and use the RSP-2 for the receiver. You can't monitor your transmitted CW with it because the SDR latency will throw you off. I need a mute circuit for an external speaker so I don't have to mute the speaker myself. My antenna was my 30 ft horizontal, and 20 ft vertical loop fed a the bottom center. The lower wire is ten feet above the ground. Hurricane Michael took all my trees I used for antenna support. So this loop that I constructed for Field Day comes in handy. It uses three 31 ft Jackite poles for support. I already had an SGC tuner just outside the house back wall. I ran 300-ohm balanced feedline between the loop and the tuner. 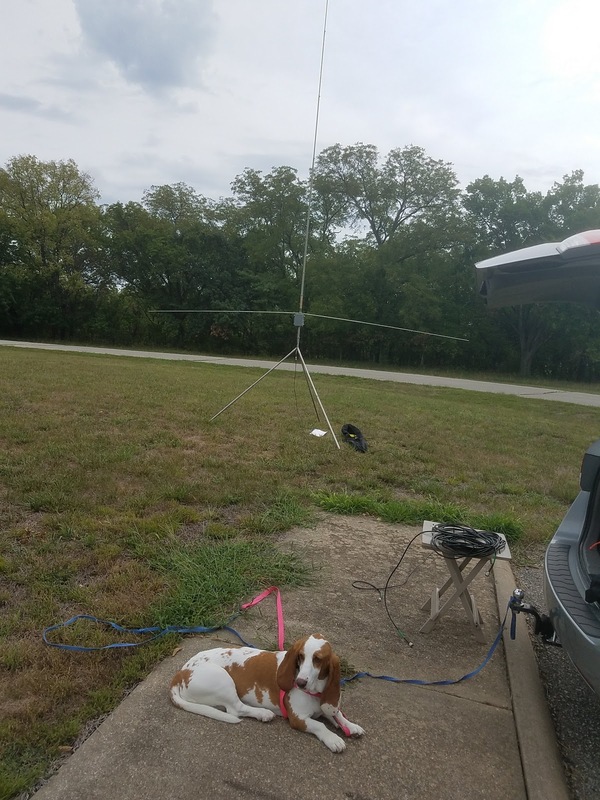 The antenna tunes nicely on 40, 30, 20, 17, and 15 meters. The Field Day loop comes in handy after Hurricane Michael. It replaces the 132-foot doublet I had in the trees. Now no trees. BTW, I used VIZ Isotap II Isolation and switched autotransformer to avoid getting shocked. I am not sure if it was necessary, but I did it anyway. If you are wondering I have several AC-1s. This one is an original and worked on the first try. 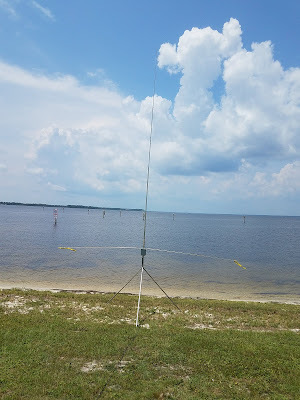 Dennis WA6QKN and I took a trip to the Pensacola, Florida Hamfest on Saturday. I spotted a Hallicrafters tube receiver that I could not pass up. 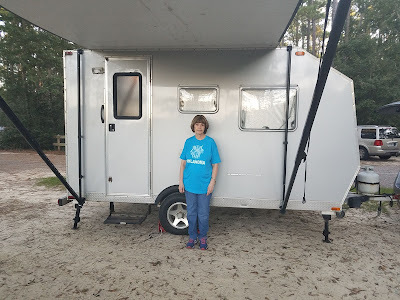 It was very clean and had the back and bottom in place. 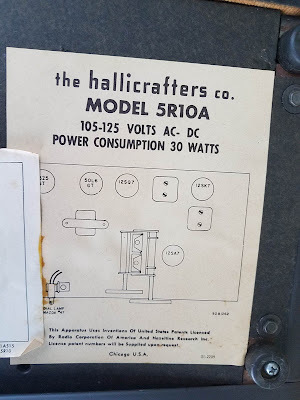 It looks like a Hallicrafters S38-D. But it is actually a 5R10A model. I picked it up for only $35. The Hallicrafters 5R10A is a Superheterodyne, general coverage receiver that is used for the reception of AM and CW signals. The 5R10A receiver incorporates 5 tubes in its circuit and has 4 bands with continuous coverage from 540 KHz to 31 MHz. The first band covers 540 KC to 1650 KC, the second band covers from 1.65 MHz to 5.1 MHz, the third band covers from 5 MHz to 14.5 MHz, and the fourth band covers from 13 MHz all the way up to 31 MHz. The Intermediate Frequency(IF) of this receiver is the standard 455 KHz. 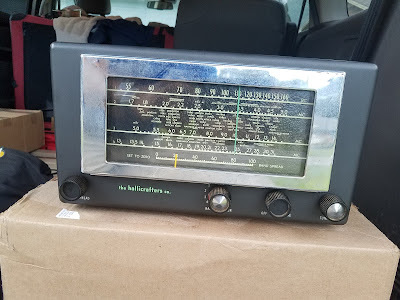 It will be an adventure checking this radio out and seeing what restoration is needed. 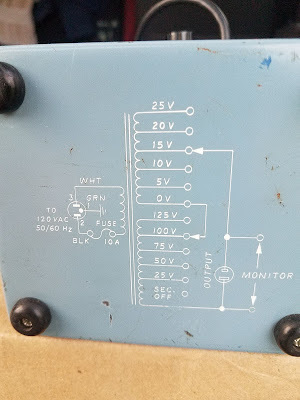 It is likely to need the electrolytic capacitors replaced. The radio is a 5 tube AC/DC type with no transformer. 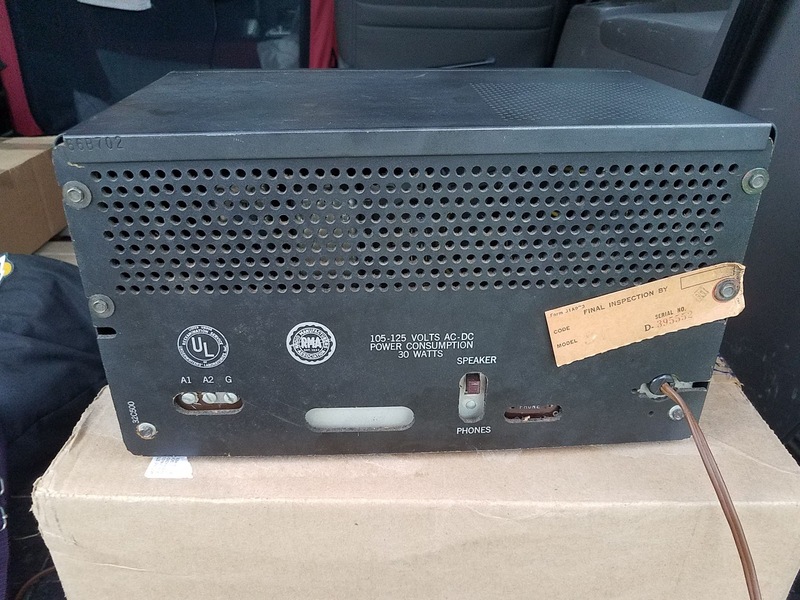 An AC/DC radio has no power transformer, one side of the power line could be at (or near) chassis potential and if any metal part of the radio comes in contact with you, a shock may result. 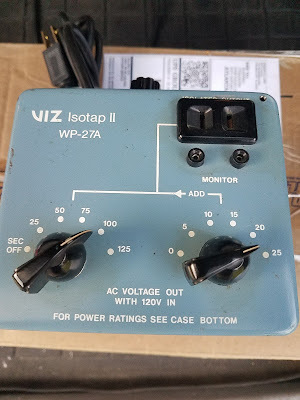 I have picked up a VIZ ISOTAP II from eBay which is a tapped transformer and provides and isolated output. This will reduce the shock hazard. If I touch the chassis and ground in the shack, it won't kill me. Plenty of caution is in order and this can be helped by replacing the two wire cord with a three-wire cord with ground. This was Suzy's first hamfest and she really enjoyed it. Other hams from Panama City attended. Jim K4LIX had a vendor table. Cory N4UVR and Phil N4STC also attended. Phil N4STC won the main prize, an Icom 7300. Congrats Phil! Dennis and I took w side trip to Fort Pickens on the way home. Perhaps there will be some future portable operations there. I missed the heyday of amateur packet radio during the 80/90s. However, there is now some local interest in Bay County, Florida since Bob KK4DIV set up a packet BBS on the two-meter band. I am now active on packet using a hardware Terminal Node Controller (TNC) and an older radio. The TNC is a Timewave PK-96. 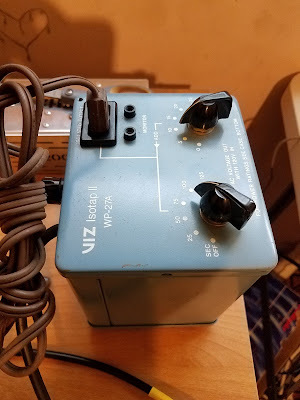 I found a new PK-96 with a USB interface at Ham Radio Outlet. There are many used TNCs on eBay, but I wanted the convenience of a USB interface to the computer. 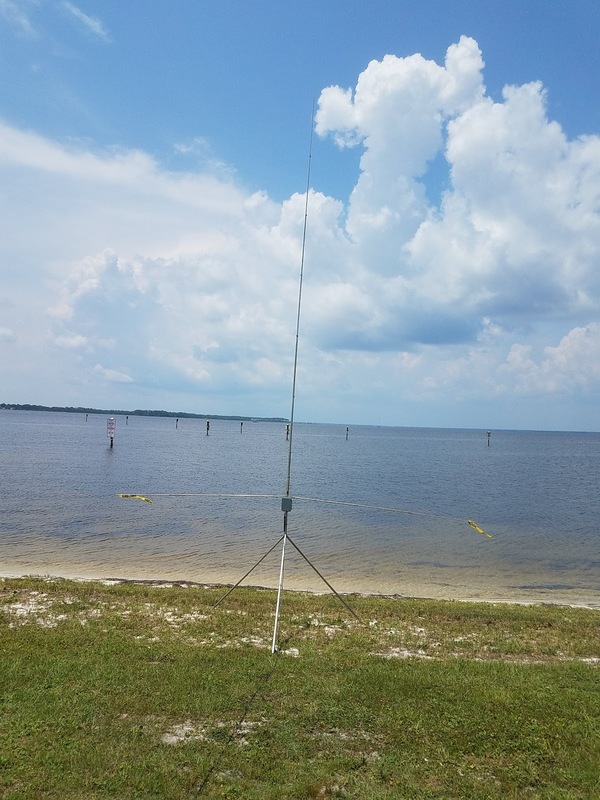 I am interested in packet radio to transmit radiogram messages off my site during ARRL Field Day in June. Radiograms are worth ten points each up to 100 points. Also, a message to the ARRL section manager is worth 100 points. I believe I am set for doing the message passing via packet in Bay County. However, I am planning Field Day at Falling Waters State Park in Washington County at least 50 miles away. If I can't get back to Bob's BBS on simplex, I may try using a mobile packet station located off the Field Day site as a relay. In fact, the mobile packet station can store the messages in its own personal maildrop and forward them when it is in range of a BBS, Using a local repeater is another idea. Winlink may even be the better approach since you can get messages out via HF. By ARRL Field Day, I may be set up for Winlink as well. I find that using packet has given me some perspective on digital communications that I missed. It helps me understand APRS type packet radio also. I am exchanging messages locally for fun. You know if our phones and internet are out of service during a disaster, packet radio could come in handy. 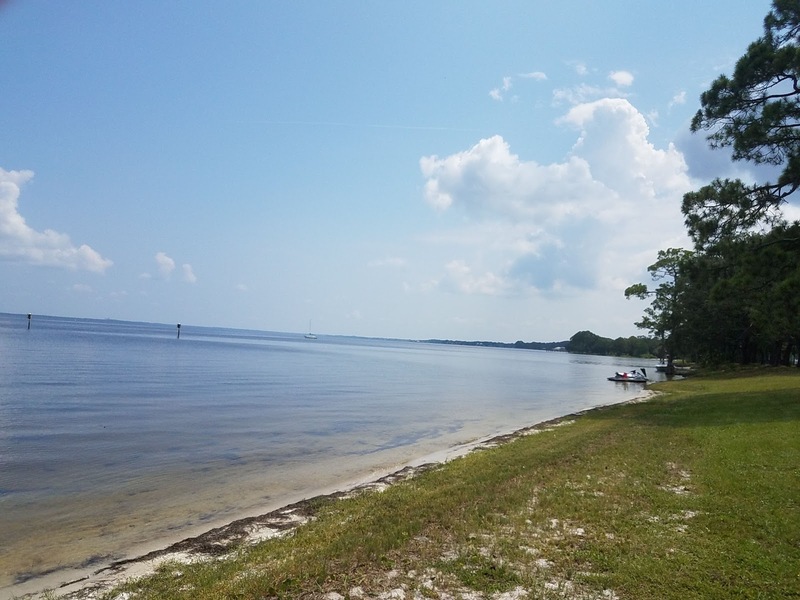 The Summer RaDAR Challenge is particularly challenging in Northwest Florida due to the July heat and humidity. Nevertheless, I chose to do RaDAR on foot this time. 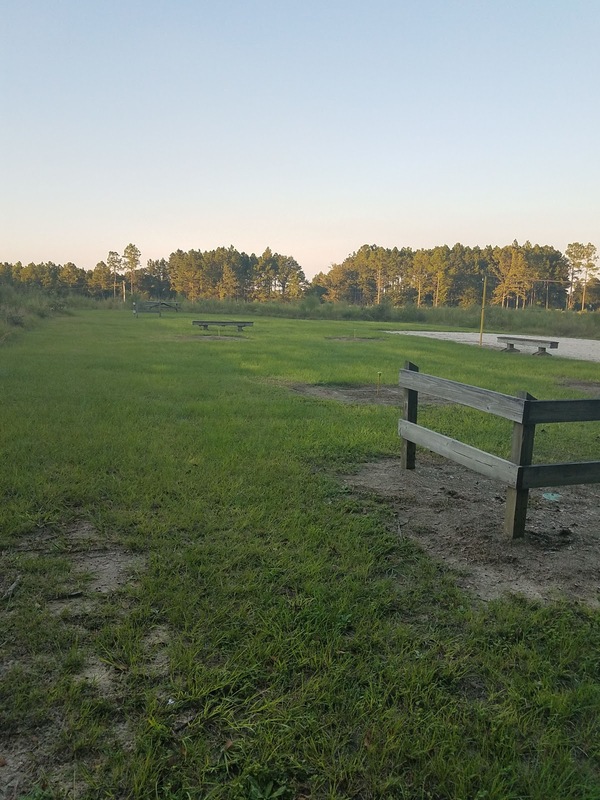 I picked a venue that included the Hathaway Bridge and extends to Carl Grey Park in Panama City. 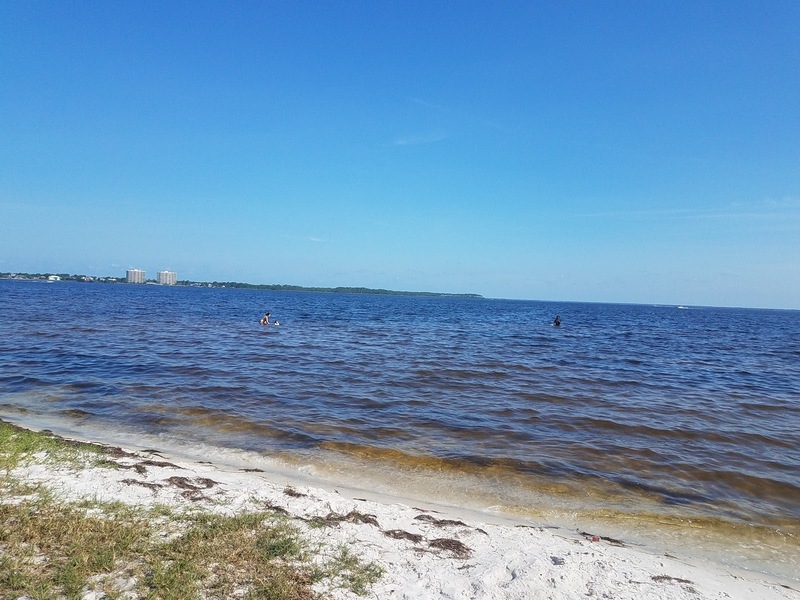 This area is on North Bay which provides a shot over saltwater to the rest of North America. I toyed with the idea of operating HF pedestrian mobile from the top of the Hathaway Bridge using the Elecraft KX2 and an MFJ 20 meter whip. I did a test prior to the challenge. I found that the whip that normally tunes well with the KX2 internal auto tuner, did not tune well on the bridge. The SWR did not get below 3.8 to 1. I suspect that it was the metal railing that extends the length of the bridge. Also, the bridge has no stopping signs for pedestrians. 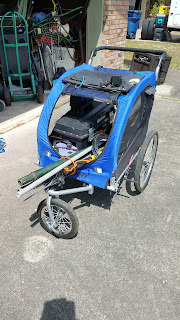 It makes operating HF pedestrian mobile a challenge for me. However, I did manage a contact with Steve WG0AT. I was terrible sending code while walking. My plan got refined to use only the Alexloop for my HF antenna. I held it in my hand while standing for locations 1 and 2. I had the Elecraft KX2 in an open camera case on my side. For locations 4 and 5, I held the loop while sitting on a park seat. This approach made my antenna setup time essentially zero. It also minimized the weight of my pack up. I always like to make contacts with Tom WD0HBR when I am portable. 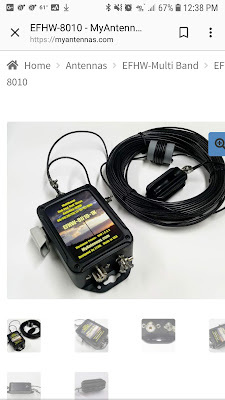 The question was, could the Alexloop get my signal to Tom's QTH seventy-five miles away on 40 meters? The answer is in the video below. My four-hour operating window for the challenge was 10 AM to 2 PM local time. That time coincided with the IARU HF Championship. When I checked 20 meters at 10 AM, I could not find a clear spot due to the contest. 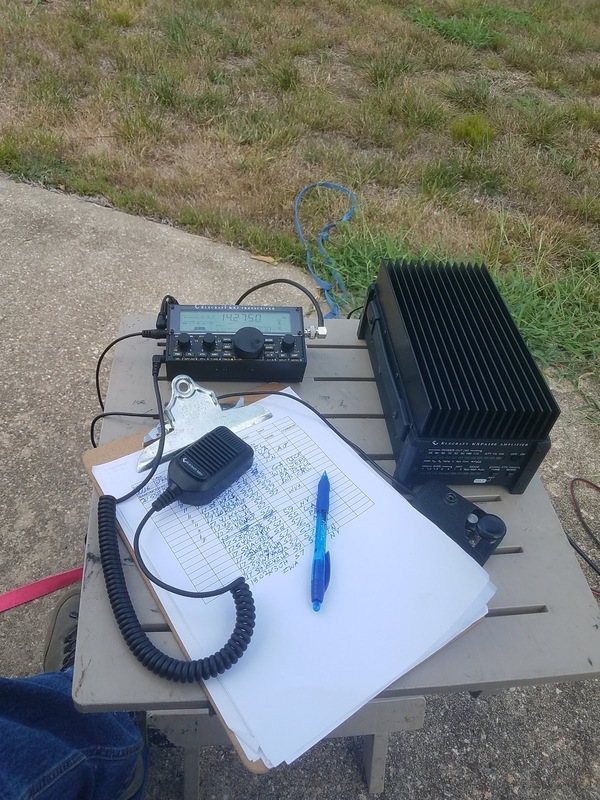 I decided to QSY to 15 meter SSB and pick up five local contacts. After my walk to the top of the Hathaway Bridge, I worked five more local contacts on 2 meters FM Simplex. I had trouble getting the fifth contact, but Linda KG4TJL rescued me. She is Bob WB4BLX's XYL. I returned to the same spot I used for location 1 to be my location 3. 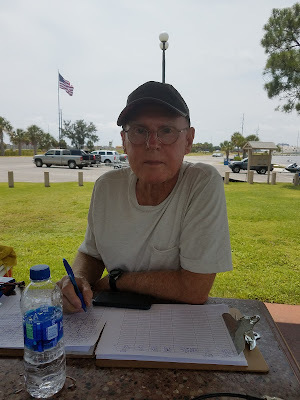 This time I got on 20 meter SSB and worked five locals including Bob KK4DIV, who was also doing the RaDAR Challenge around Panama City. He decided to drive between locations. 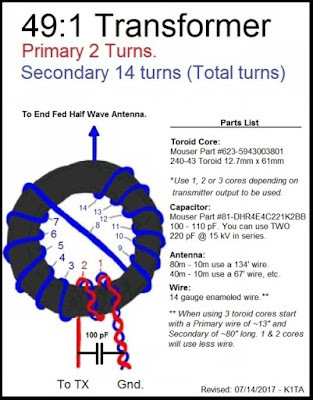 Bob KK4DIV Bob WB8PAF and I used magnetic loops for our HF antennas. I headed to Carl Grey Park for location 4. It had some needed shade while still on the bay. I decided to join in on the IARU contest to get five SSB contacts. I did hunt and pounce. After five contacts, I took a meandering walk in the park area to get one kilometer and returned to the same spot for location 5. At location 5, I got four more contest stations on CW and then an SKCC station answered my CQ for the fifth contact. The RaDAR Challenge offers a bonus for the first Satellite contact. My four hour period was ending with an AO-85 satellite pass. 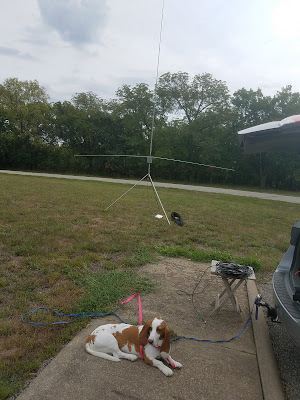 I used a Yaesu FT-60 HT and an Elk antenna that I had been carrying. I was successful to contact two friends. They are Robert KE4AL in Dothan and Jim K4LIX here in Panama City. Thanks to all the locals for the contacts. They include Phil N4STC, John KN4PMA, Jim K4LIX, Jack N1HQ, Don KK4DKT, Bob WB8PAF, Bob WB4BLX and his XYL Linda KG4TJL. I have a Fitbit watch that tracks my steps. With the challenge, I had a 10K step day. RaDAR is Rapid Deployment Amateur Radio. Bob KK4DIV's video is below.